Will.i.am aims to shake up 3D printing with Coca-Cola branded Ekocycle Cube #3DThursday #3DPrinting « Adafruit Industries – Makers, hackers, artists, designers and engineers! …The Ekocycle Cube printer is being made by 3D Systems, the US-based manufacturer that announced Will.i.am as its chief creative officer in January this year. 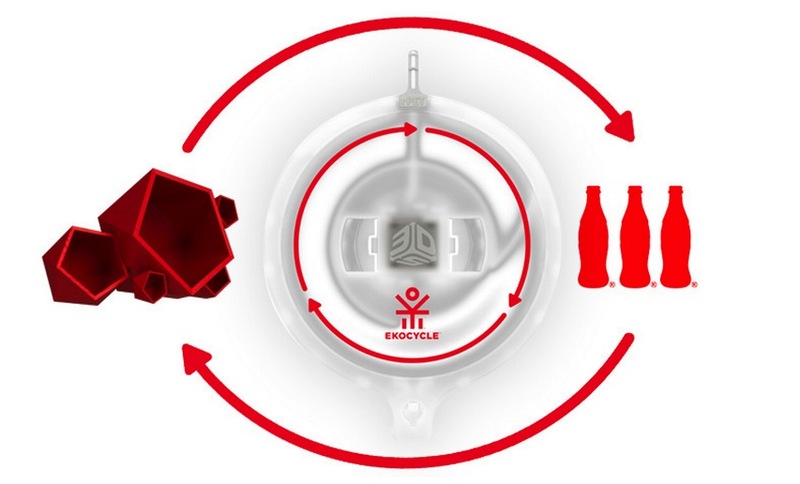 Coca-Cola is also a partner in the project, which is an offshoot from its existing Ekocycle venture with the Black Eyed Peas star. 3D Systems will start selling the device in the second half of 2014 with a launch price of $1,199 (£706). Its cartridges will include filament – 3D printing’s equivalent of ink for traditional printers – partly made from used plastic bottles. The company says each cartridge will contain 25% of “post-consumer recycled materials”, using an average of three bottles. The Ekocycle Cube is very on-brand, printing objects of up to six inches cubed in red, black, white or “natural” colours. Will.i.am is designing 25 “fashion, music and tech minded accessories” for buyers of the device, which will also use the Cubify smartphone app to browse and print designs. It’s the star’s latest technology venture, following on from his “director of creative innovation” role with Intel, announced in January 2011. Will.i.am also had a minority stake in Beats Electronics, the headphones brand recently bought by Apple for $3bn….